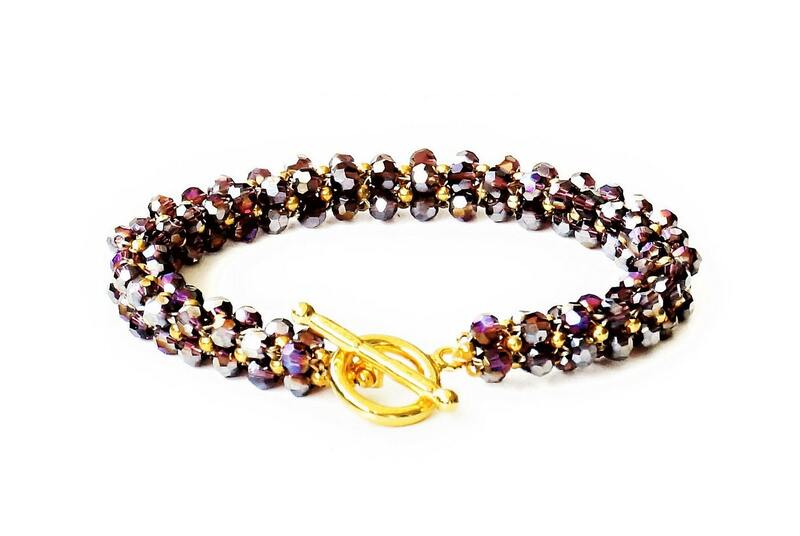 Woven beaded bracelet, elaborately worked out of dazzling faceted crystal glass beads in a beautiful blackberry hue with gold. 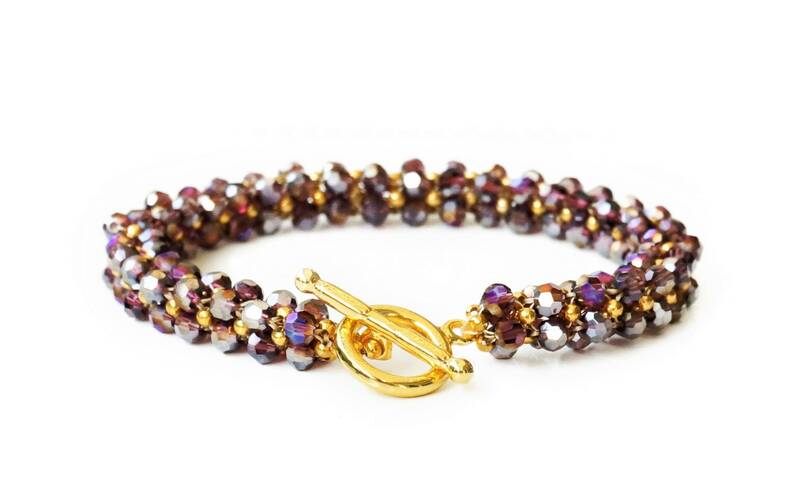 In addition, Japanese Miyuki seed beads-all together intricately woven into a high-quality bracelet. 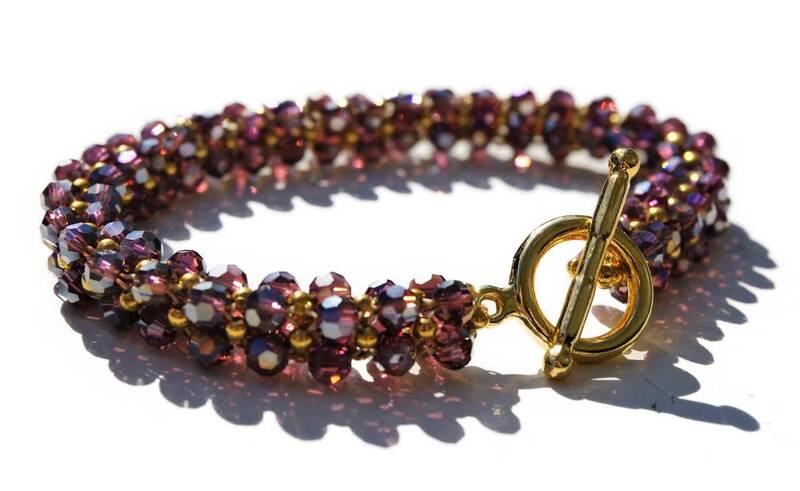 The bracelet is closed with a golden gag clasp. 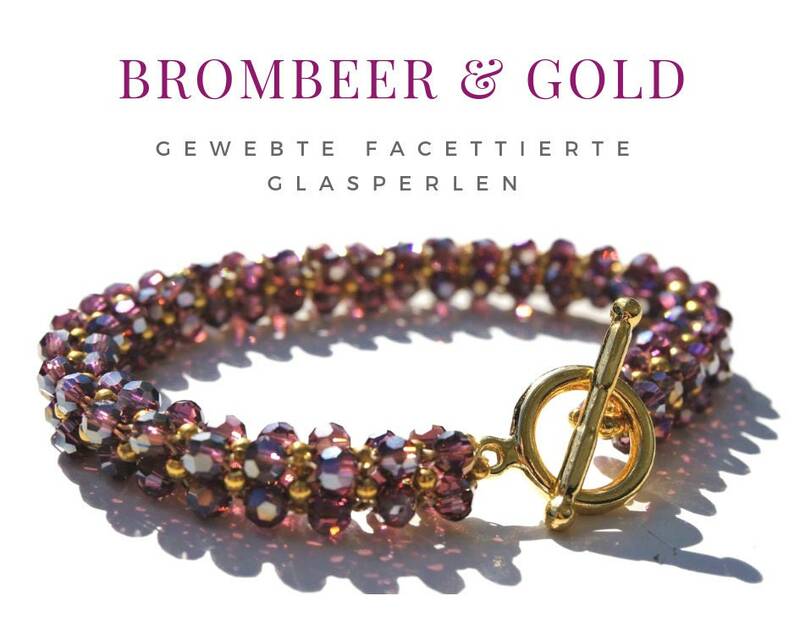 The almost 0.8 cm wide bracelet is 21 cm long. 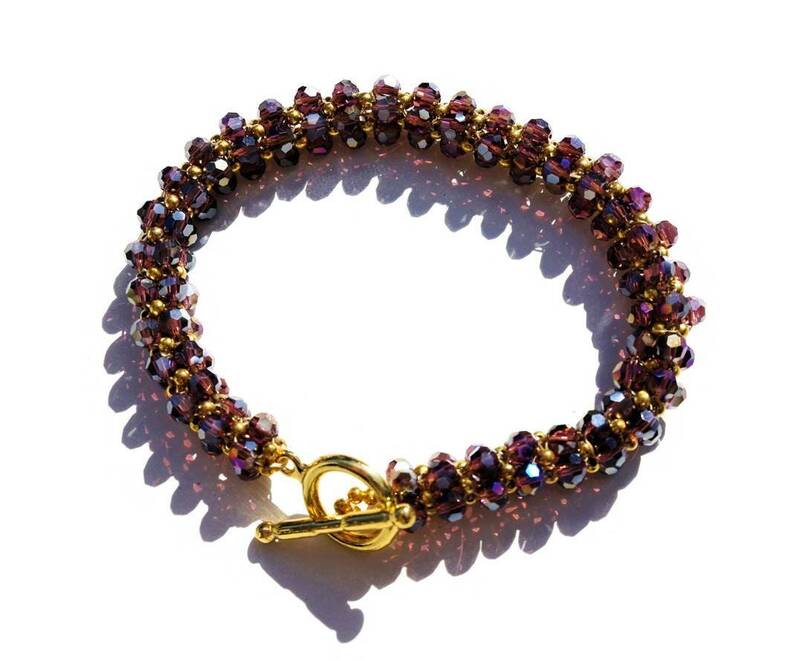 The handmade beautiful unique one is delivered in a small black organza bag.